The NUS Piano Ensemble revisits its classical roots with the Touch series of concerts, which resumes after a hiatus of almost 3 years. Touch 2015 will feature music by 20th century favourites such as Rachmaninov, Piazolla, and Gershwin, which have become a staple in the ensemble’s repertoire in recent years. The recital will also include a selection of rarely performed piano ensemble works which promises to be a musical feast for both sophisticated listeners and music enthusiasts alike. Physically, making music involves touching the keys. 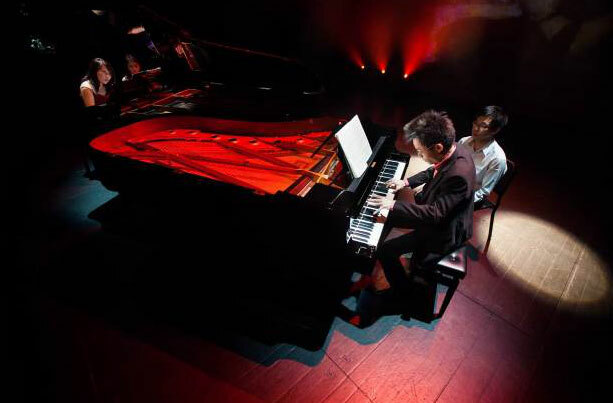 At the same time, the NUS Piano Ensemble wishes to touch hearts and break boundaries between the stage and the audience.